Dr. Perales accepts the following list of insurance providers. Select your insurance provider to see more details. I am a board-certified medical oncologist with expertise in donor-derived hematopoietic (blood-forming) stem cell transplantation. Hematopoietic stem cells from a donor other than the patient can cure many patients who have diseases of the blood and bone marrow, including leukemias and lymphomas. The donor stem cells can come from different sources (related or unrelated donors, and bone marrow, peripheral blood, or umbilical cord blood units) and can be modified in different ways before transplantation to enhance their effectiveness. Along with colleagues here, I am participating in a number of studies designed to improve outcomes in patients undergoing stem cell transplantation, including finding ways to lower the risk of complications, relapse, and graft-versus-host disease. In particular, I am leading a clinical trial in patients who have advanced Hodgkin lymphoma; the goal of the trial is to determine the safest way to perform a transplant using stem cells from a donor in patients with relapsed Hodgkin lymphoma. I also conduct translational clinical research investigating new ways to enhance the recovery of the immune system after a transplant and ways to help the immune system fight hematologic malignancies. My colleagues and I are investigating new agents such as interleukin-7 and KGF to enhance immune recovery, as well as new approaches to generate specialized T cells that will specifically target hematologic malignancies. My practice consists of patients with a variety of hematologic malignancies who are in need of an allogeneic transplant, including patients with acute myelogenous leukemia, acute lymphoblastic leukemia, myelodysplastic syndromes, chronic lymphocytic leukemia, non-Hodgkin lymphoma, and Hodgkin lymphoma. The goal of my practice and clinical research is to be able to offer every patient in need of a transplant the opportunity to undergo this potentially curative therapy. 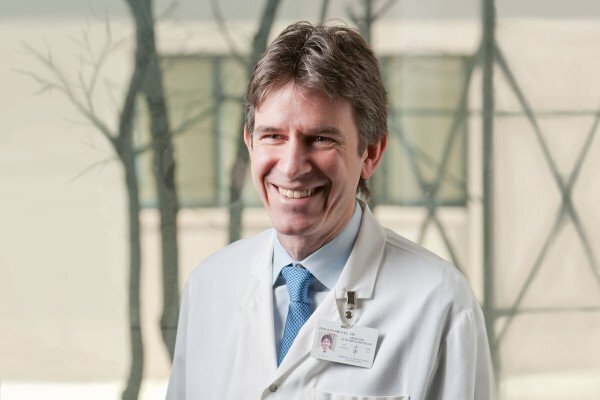 As Director of Memorial Sloan Kettering’s Adult Bone Marrow Transplantation Fellowship Program, I am responsible for coordinating the training and education of tomorrow’s generation of stem cell transplanters. Visit PubMed for a full listing of Dr. Perales’s journal articles. Pubmed is an online index of research papers and other articles from the US National Library of Medicine and the National Institutes of Health.